WWP’s Warriors to Work® helps veterans translate their military experience to future employment opportunities. JACKSONVILLE, Fla. (March 13, 2017) – Every day, more than 500 U.S. servicemen and women leave the military and transition to civilian life. Some of them retire after a long career or have their next step lined up. Others, though, are thrust into a new career search earlier than expected with no plan in place. But programs like the Department of Veteran Affairs (VA) transition assistance plan (TAP) and Wounded Warrior Project® (WWP) career counseling can help. TAP enrolls veterans in their benefits as they are leaving the military. It also provides education and employment programs to boost job skills needed in the civilian world. Here are five tips to consider from WWP’s career counseling team before you start your job search. Know Your Benefits. Know what you deserve – and not just the benefits you earned through years of military service. You may also be entitled to unemployment benefits. Visit the American Job Center to find eligibility. Put In (Resume) Time. A resume is the first thing potential employers see. And creating a resume that reflects your abilities is an important initial step in the job search. WWP career counseling can help translate your experience to a civilian resume. Network. Knowing the right people improves your chances in a job search. Reach out to veterans in your area to let them know you are seeking employment. WWP can assist with networking with other veterans and potential employers. Use Your Resources. 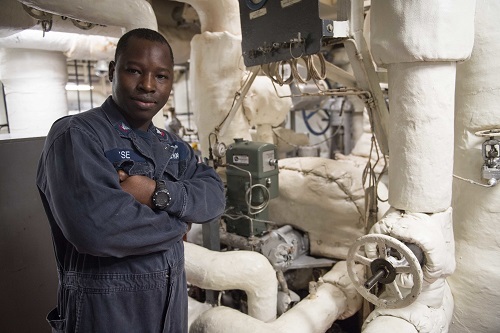 There are resources available specifically for veterans seeking careers after military service. WWP can connect you with tools to identify your next ideal career field and to find the right opportunities. Practice Makes Perfect. Most military veterans are experienced at maintaining a professional demeanor when necessary. To become comfortable using civilian terminology and communicating with interviewers, it is crucial to practice interviews with civilian family members or friends. This will help you speak more naturally and confidently when the time comes. Additionally, try interviewing yourself while looking into a mirror to see how you appear. Reach out to WWP’s Warriors to Work for more assistance with transitioning to a civilian career.